In that case, you'll need to manually sync your account. To complete this process, you'll need to know the email address and password used with the missing businesses. To start, tap on the Profile icon at the bottom right corner of your screen. Then, tap Settings, then Resend verification email at the top. Enter the name of the missing business, and tap Search. Enter the email address and password you use with this business. Updated my info and they are still missing? 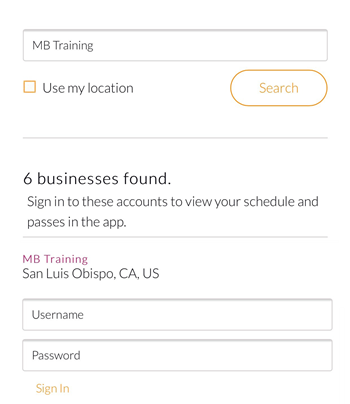 If you've updated the email address or name used with a local business, you can sync them to the MINDBODY app by resending the verification email and clicking on the enclosed link.